Back in 2017, Greek, Modern (1453-) forward Dimitrios Diamantopoulos's contract with Aris Thessaloniki FC (Greece), the club he is still a member of, took effect. Stunning 76% of Aris Thessaloniki FC's football players are right footers and so is Dimitrios Diamantopoulos. Measuring 179cm, Aris Thessaloniki FC's average player height matches the one of Dimitrios Diamantopoulos. Until now, he has been present in five games. He is two years older than his team's average age, as he was born on 18.11.1988. 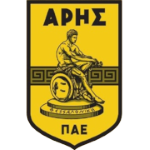 These days, Dimitrios Diamantopoulos's team Aris Thessaloniki FC comes fifth place in Super League (Greece) plus third place in group Gr. 4 of Greece Cup (Greece). The briefest time his spent on a team counts merely four months in his present club. 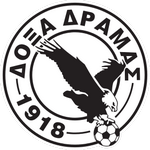 The longest period that he stayed in a team was one year and 11 months in Thermaikos Thermis (Greece) Altogether, Dimitrios Diamantopoulos was substituted in 47 and out 34 times. Currently, he entered the pit more than he left it which is different to last season wherein he did the opposite. It's been 73 days since he played his latest match. 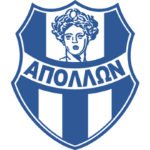 He was contracted to a few clubs during his professional career, one of them being GS Apollon Smyrnis, for whom he played before coming to Greece. In the recent term, Dimitrios Diamantopoulos managed to find the net three times and provided not once additional assists which accounts for 40% of Aris Thessaloniki FC's goals in Greece Cup 18/19 (Greece). He scored an average of 0.6 goals and provided 0 assists per game so far, marking a slightly impaired performance when compared to last season, when he had 0.6 strikes and 0 assists per match. He wears the jerses number 19 strip at Aris Thessaloniki FC. He weighs 75kg which is just as much his team's average heftiness. Already 34 times a card was given to Dimitrios Diamantopoulos in his tenure. 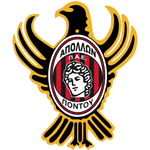 Aris Thessaloniki FC has three more forwards in their squad, namely Andreas Stamatis, Daniel Larsson and Hamza Younes. So far this season, he won 50% in Super League and tied 33% of Aris Thessaloniki FC's matches in Greece Cup. They also managed to win 2 fixtures in a row in Super League. Football League 17/18 (Greece) has been Dimitrios Diamantopoulos's best season so far since he scored his personal highest amount of goals.